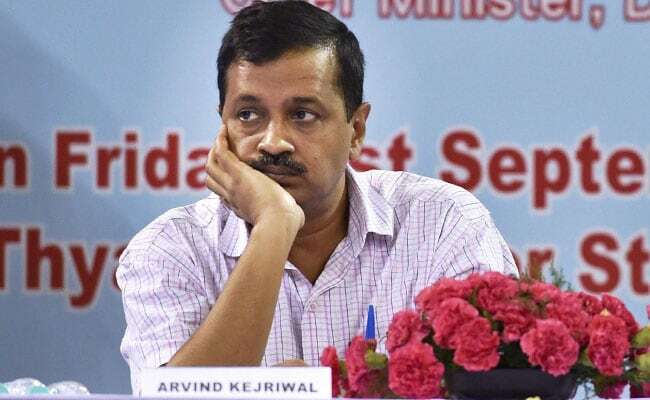 New Delhi: Delhi Chief Minister Arvind Kejriwal today accused the national capital's Lieutenant Governor Anil Baijal of encouraging officers to hide files from his cabinet colleagues, and asked whether in doing so Mr Baijal was "disrupting" the elected Aam Aadmi Party or AAP government. On Tuesday, Delhi Deputy Chief Minister Manish Sisodia had written to Mr Baijal, asking him to act against Education Department officials who have been allegedly sending files on teachers' training to the LG's office without consulting the AAP leader. "Isn't LG disrupting an elected govt by encouraging officers not to show files to ministers? Why are files related to teachers being hidden from education minister? How does an education minister run schools like this?," Mr Kejriwal tweeted. In his reply to Mr Sisodia's letter, Mr Baijal said the deputy chief minister seems to be under an impression that his office has given instructions not to show any file about the teachers to the minister in charge. Mr Sisodia, who also holds the education portfolio, has lashed out at the Lieutenant Governor after some education officers and the chief secretary reportedly sent a file to Mr Baijal's office, detailing the trip of teachers to Finland for training. Mr Sisodia has said the officers have been "killing democracy" on the "directions" of the Lieutenant Governor's office by not consulting him before sending the file.